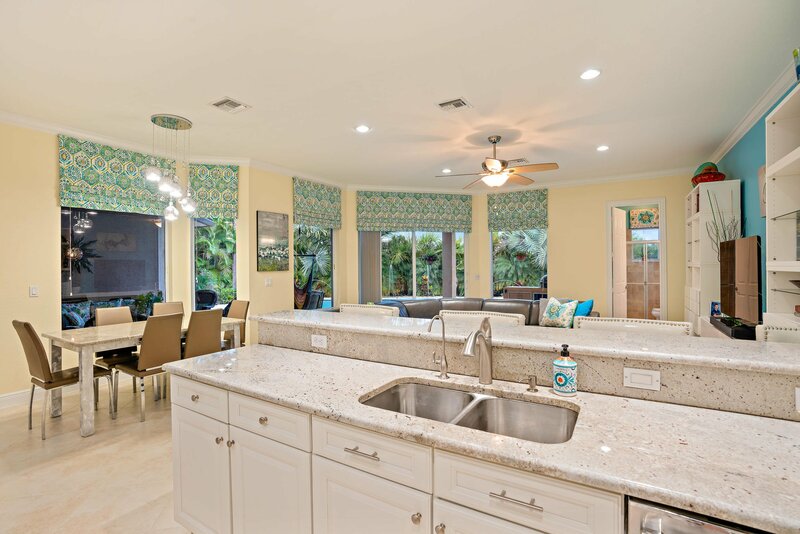 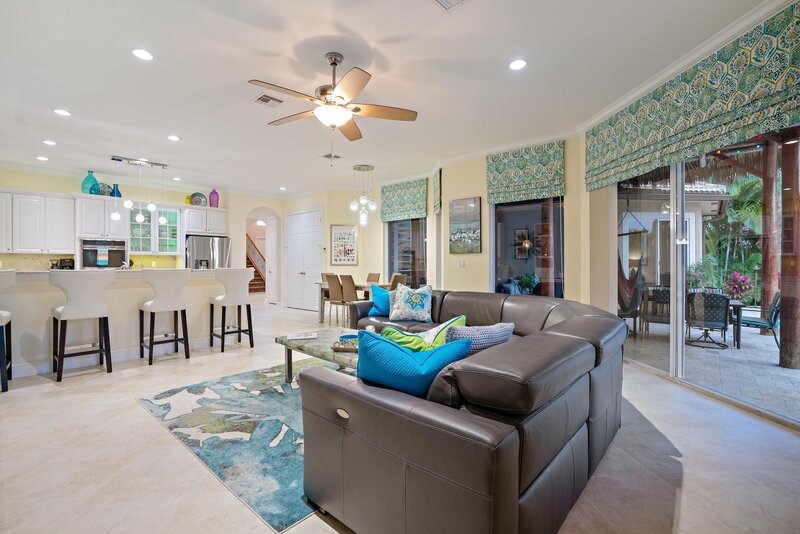 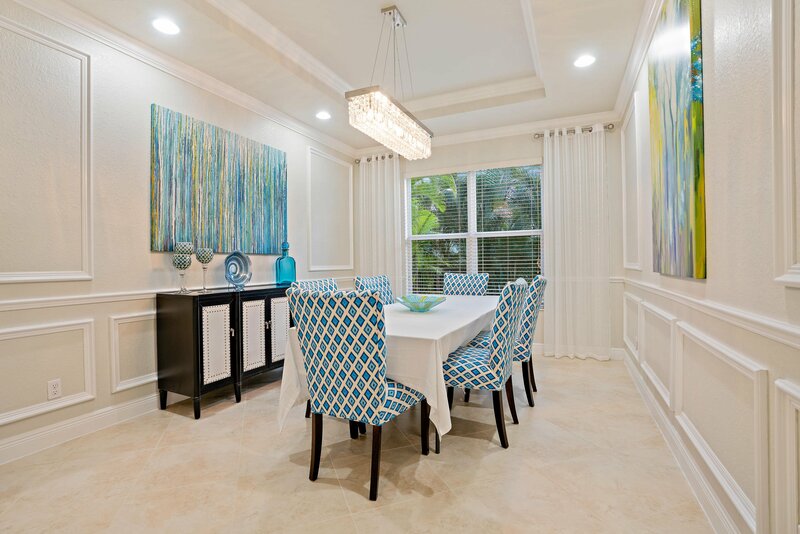 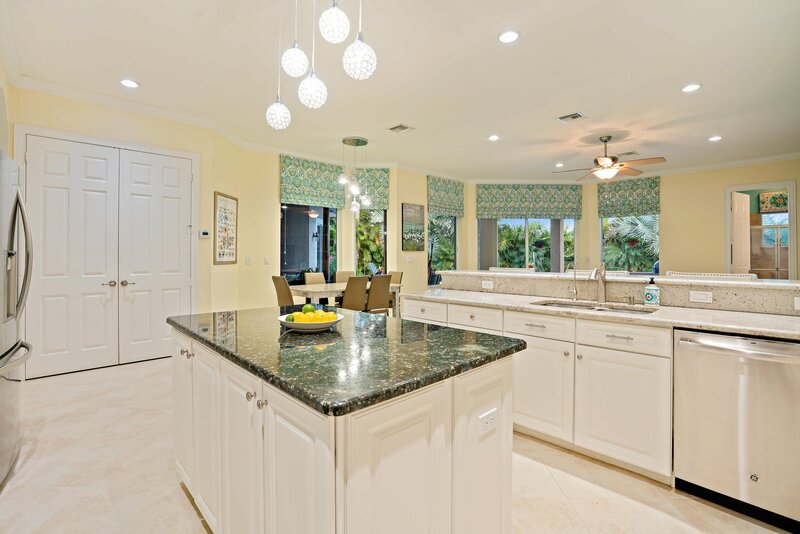 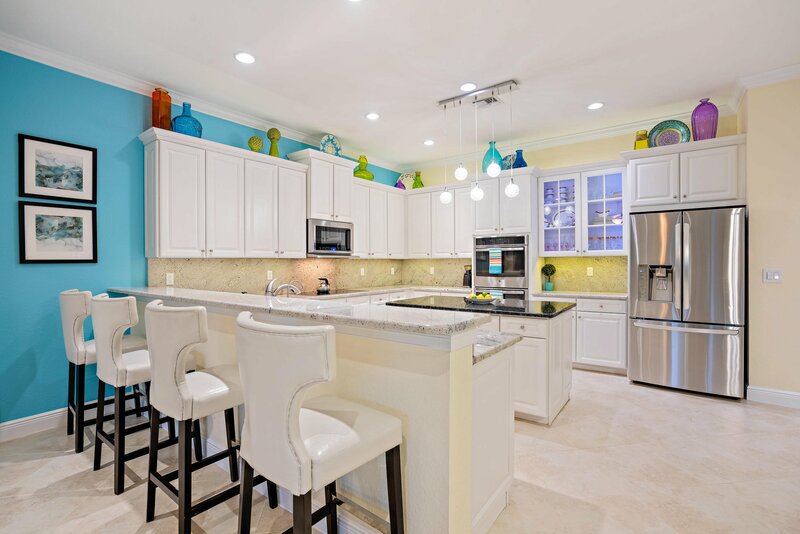 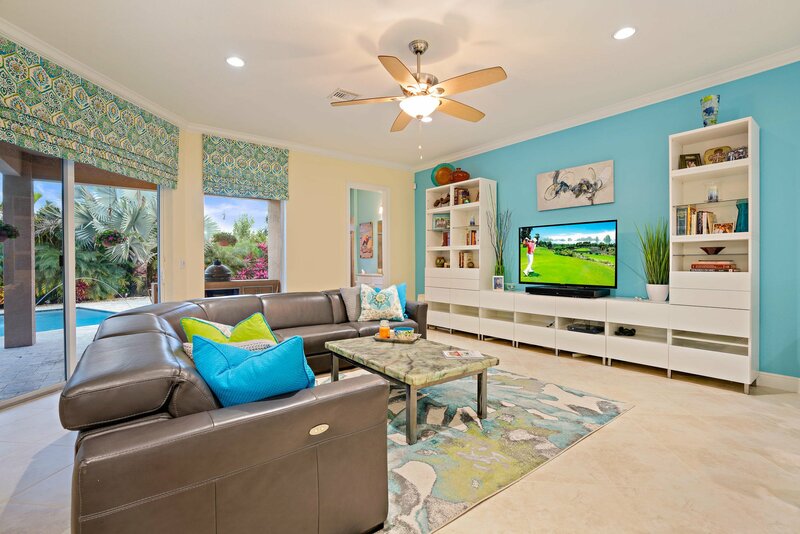 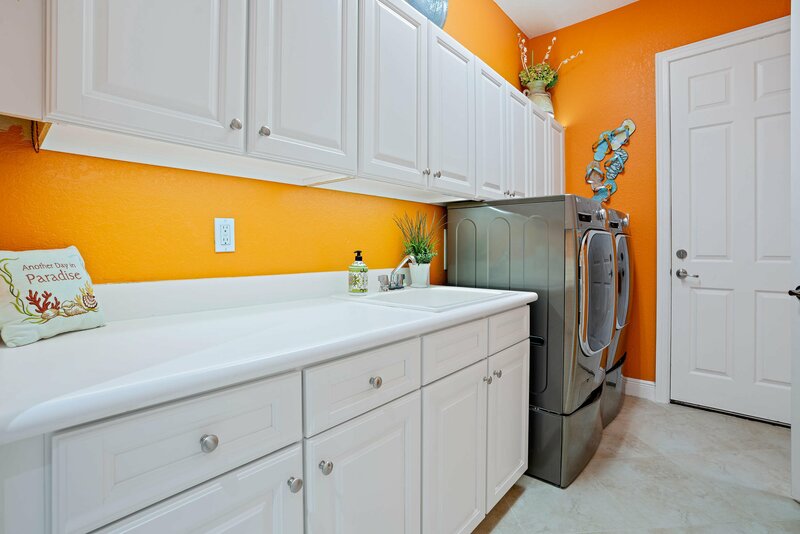 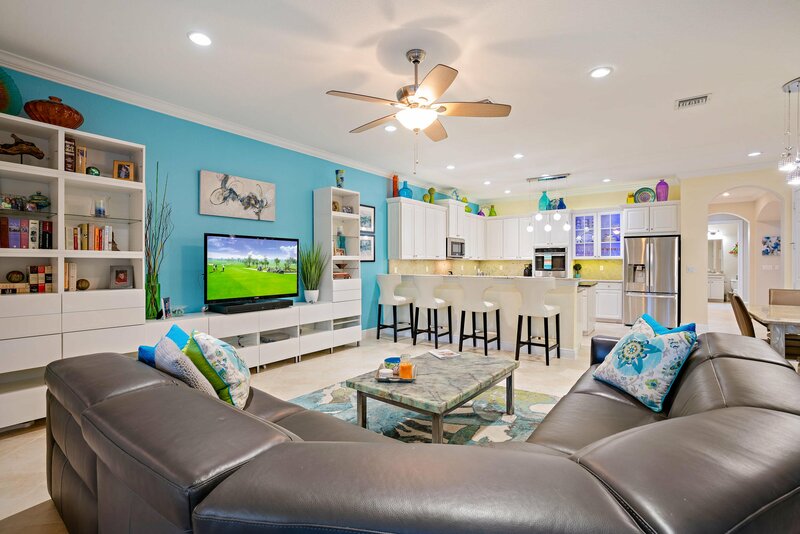 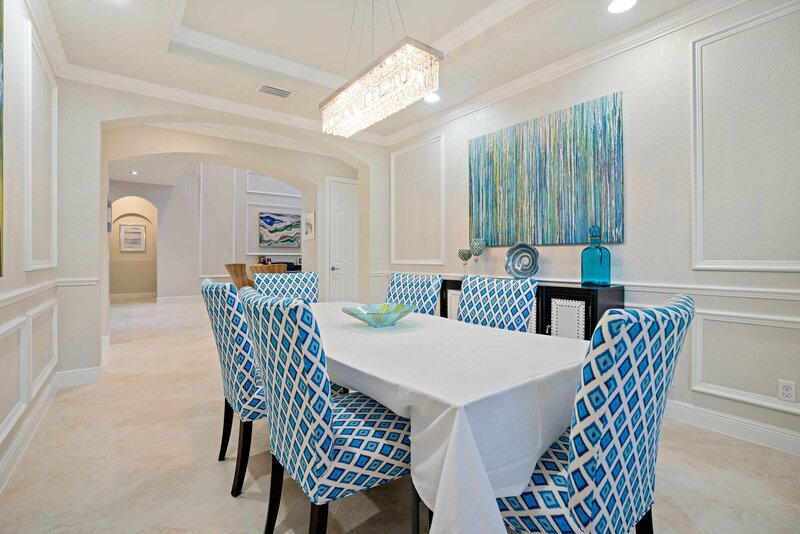 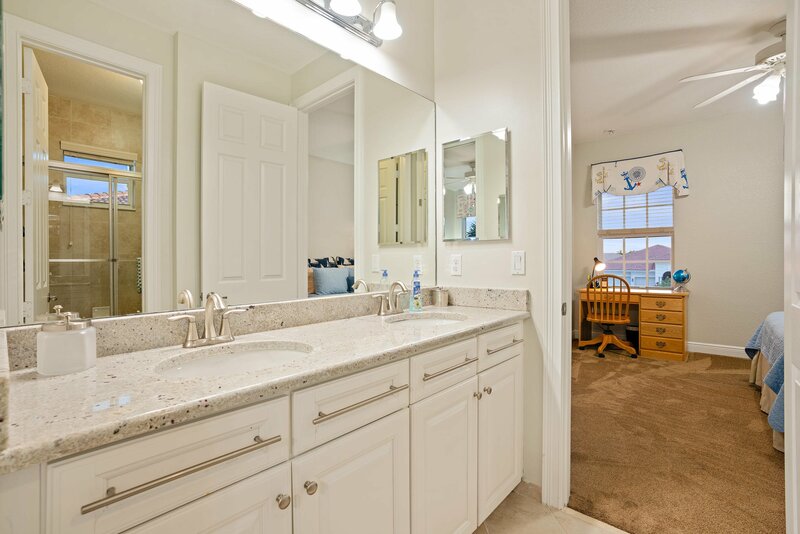 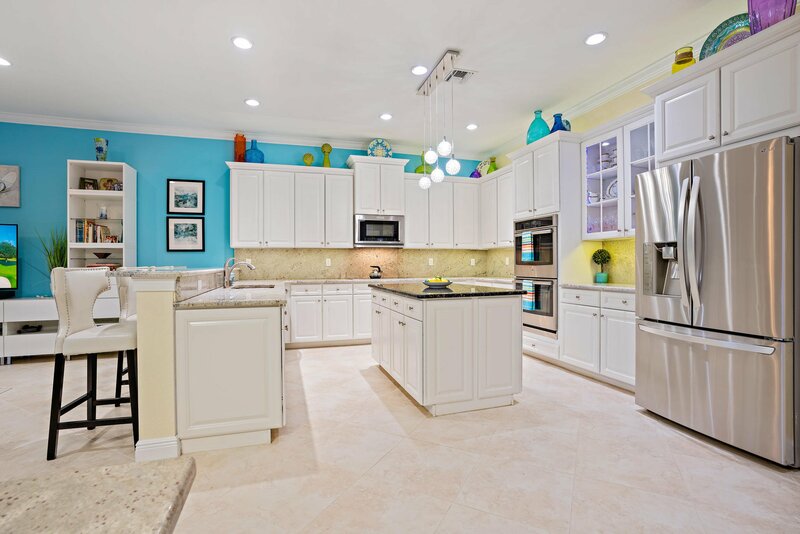 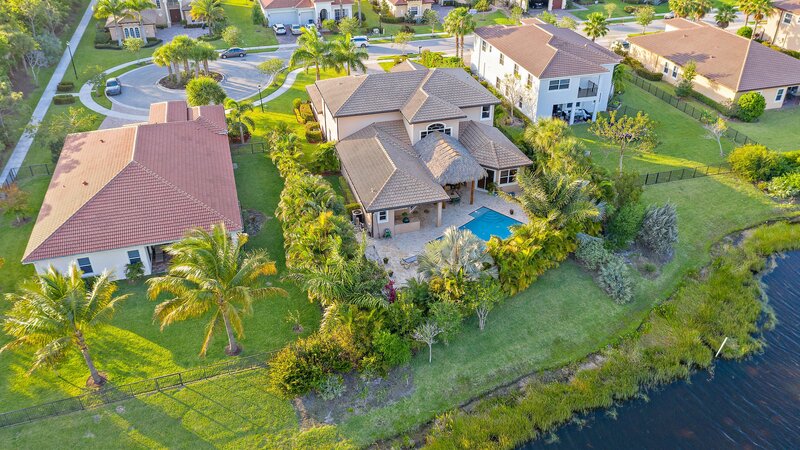 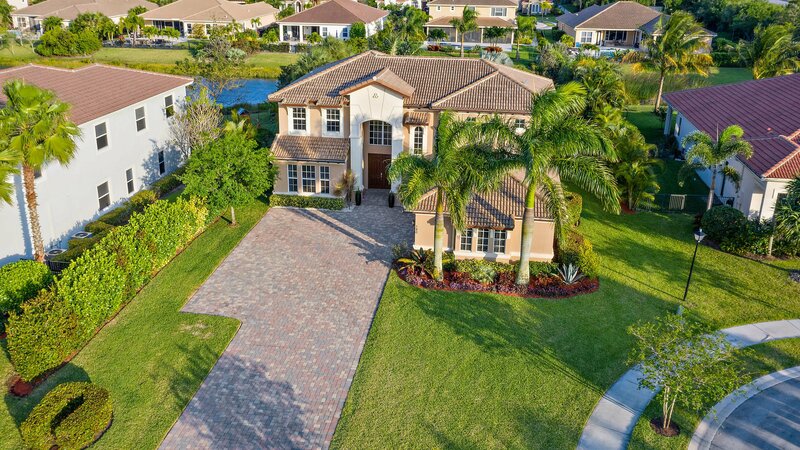 This highly desirable Stonegate model is situated within the gated and family friendly community of Rialto in the heart of Jupiter. 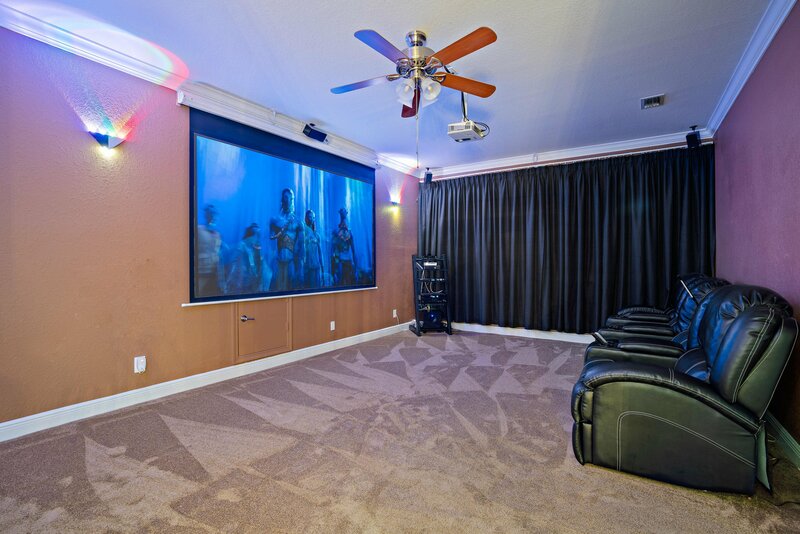 6 bedrooms, 5 full baths, media room and a 3 car garage. 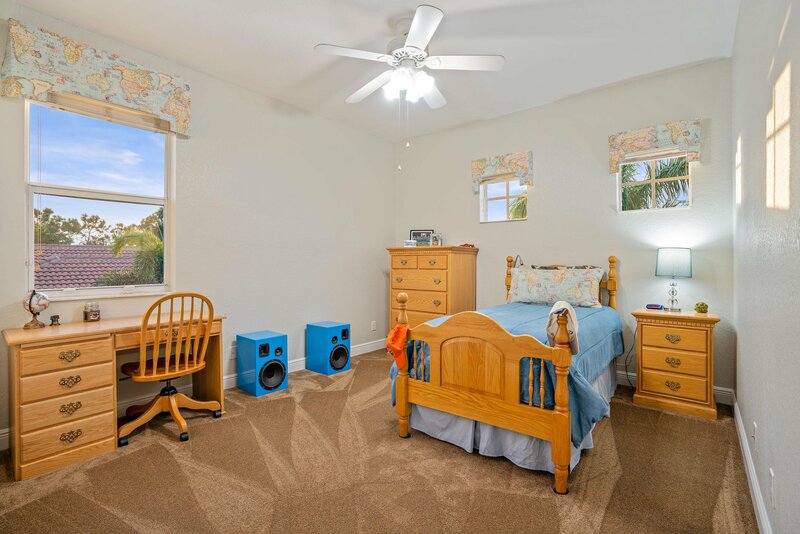 Quiet cul-de-sac location. 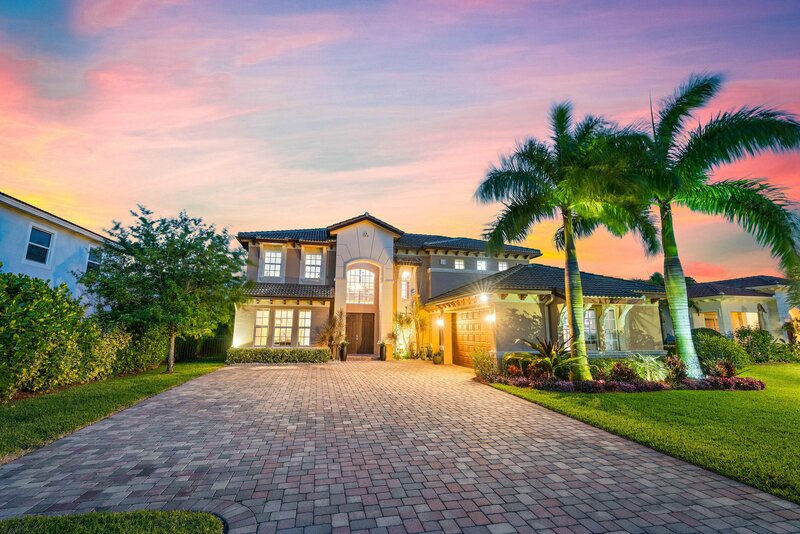 Extra long driveway providing plenty of parking for guests. 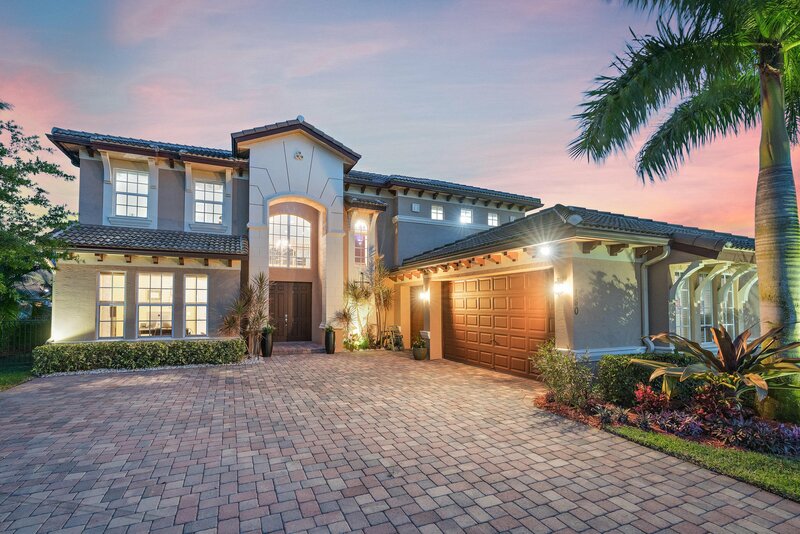 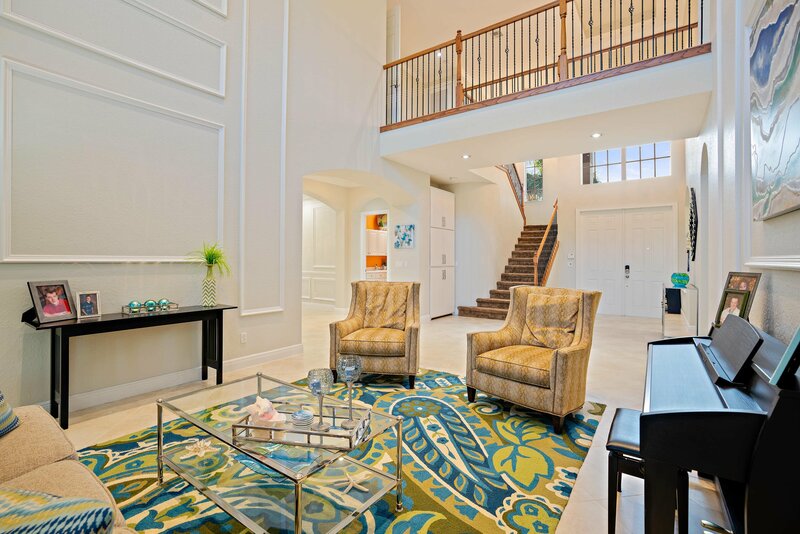 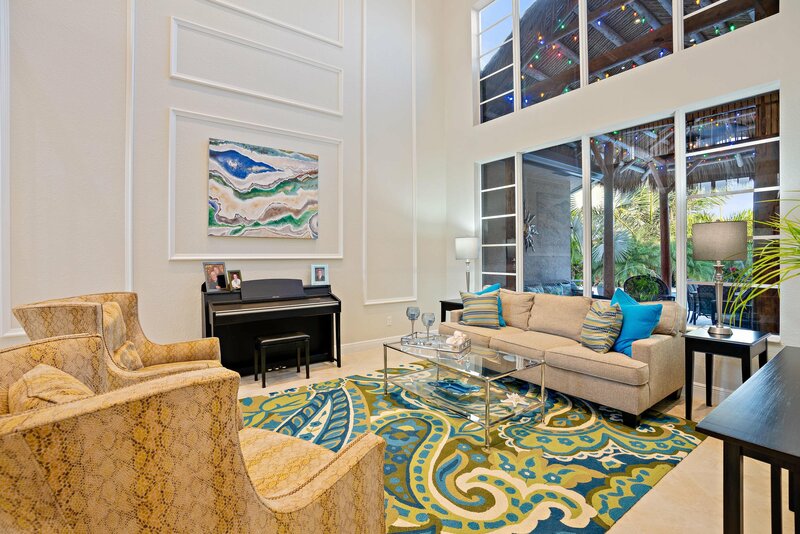 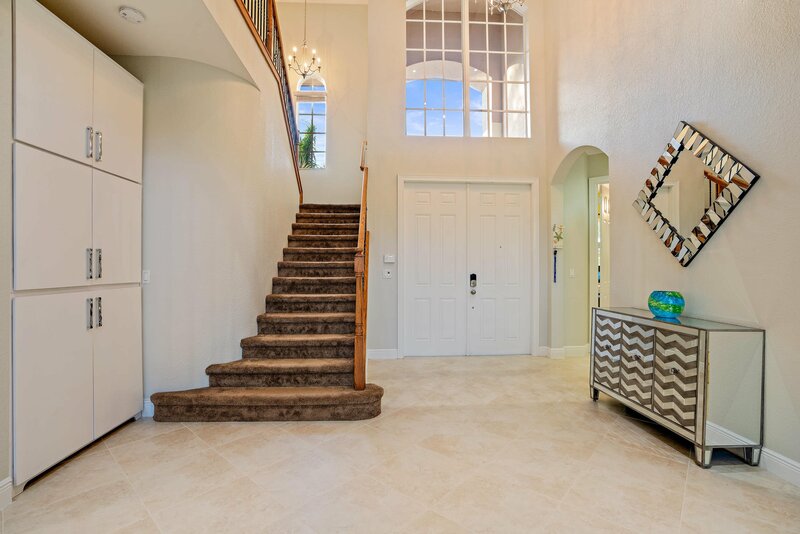 Walk inside to the soaring volume ceilings, custom moldings and bright open space. 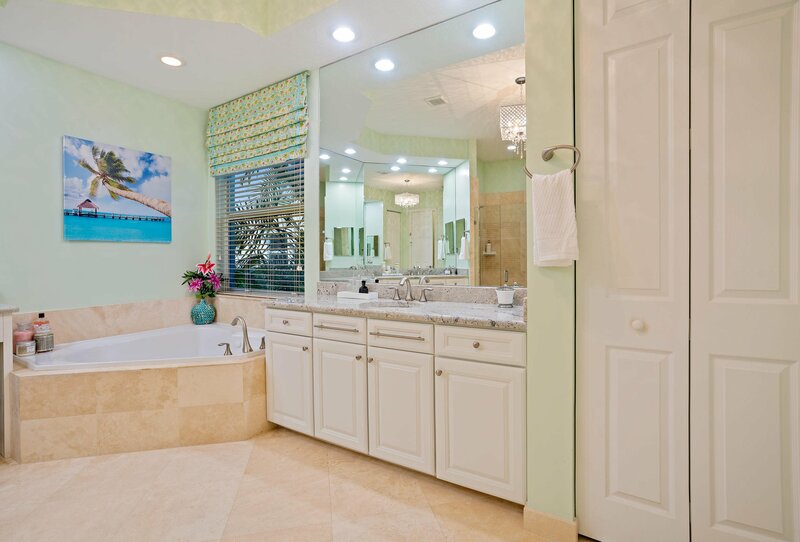 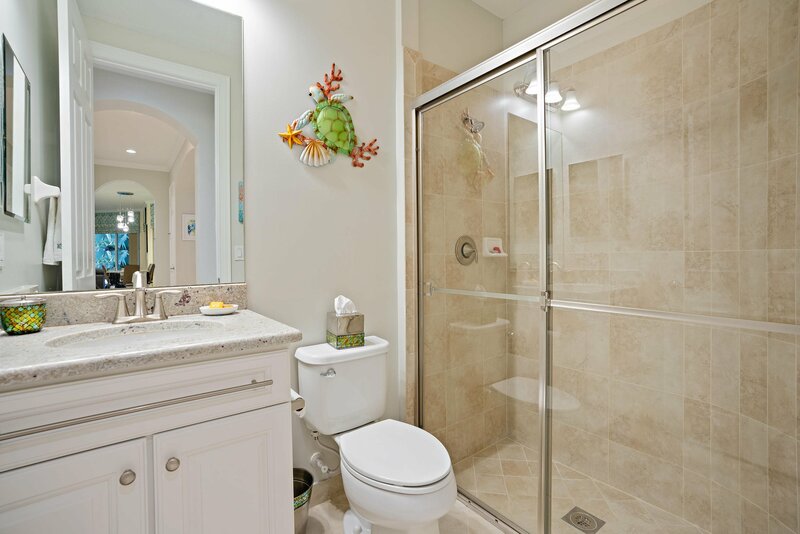 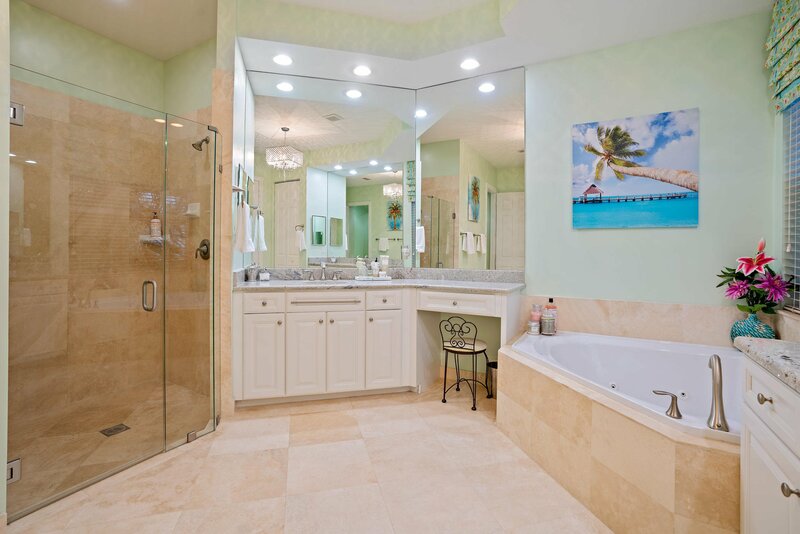 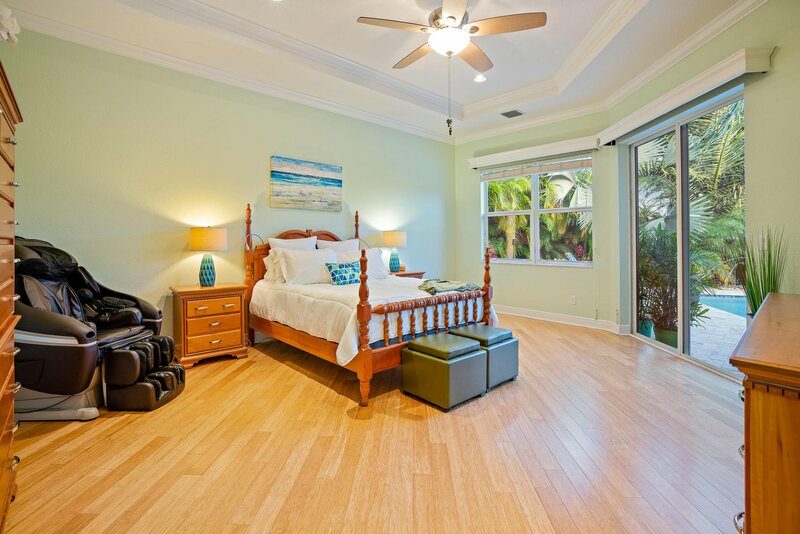 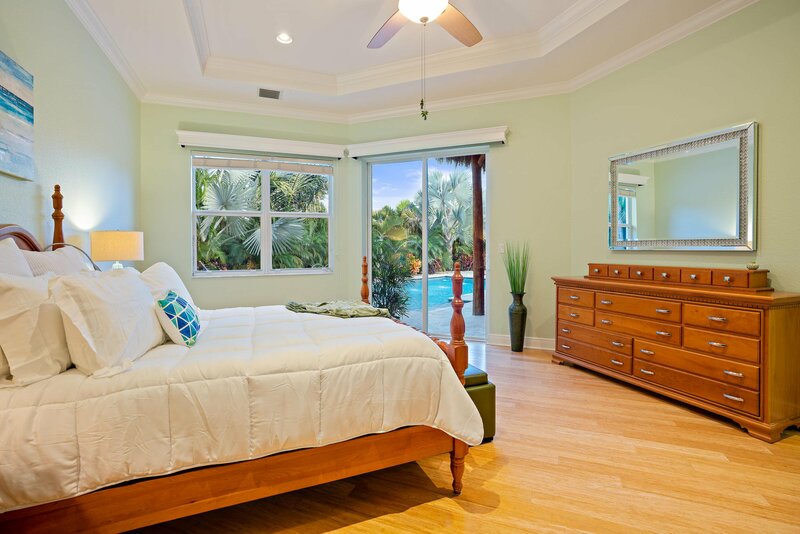 Generous downstairs master suite with bamboo flooring, double walk in closets and luxurious master bath with dual vanities, jacuzzi tub and frameless glass shower. 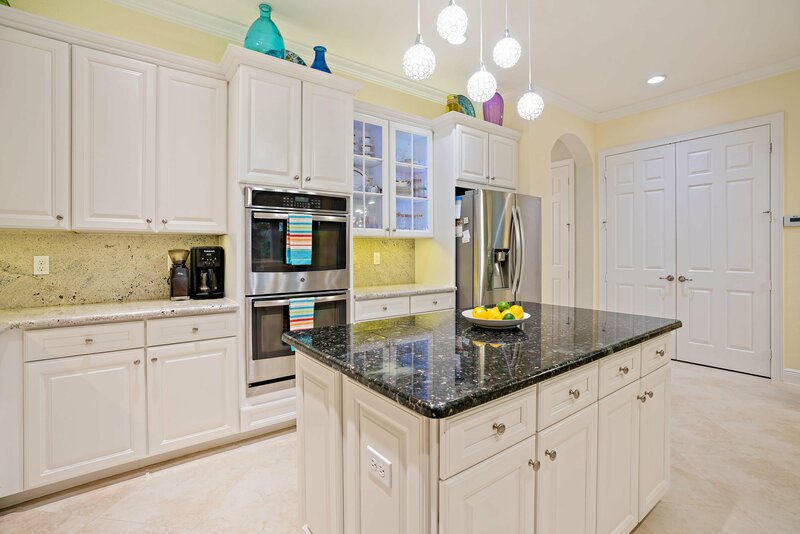 The kitchen is sure to impress the most discriminating chef with white cabinets, Blanco Romano granite counters, stainless appliances including an induction cooktop, reverse osmosis water system and under and over cabinet lighting. 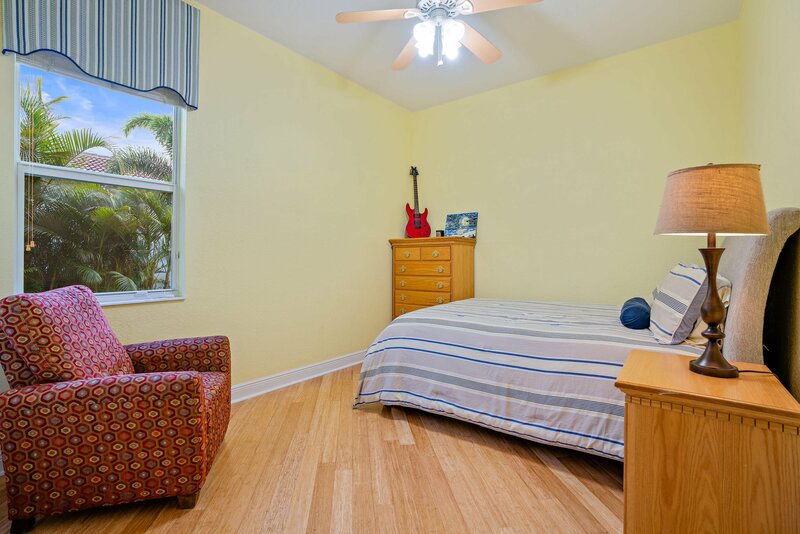 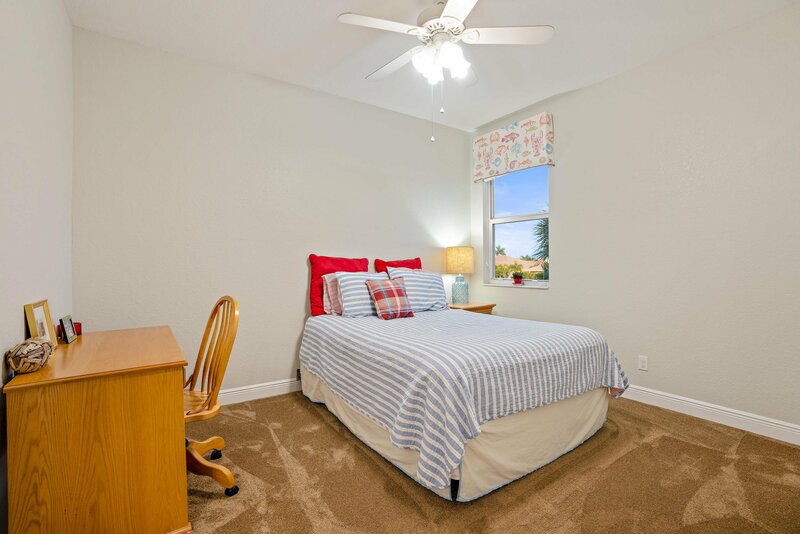 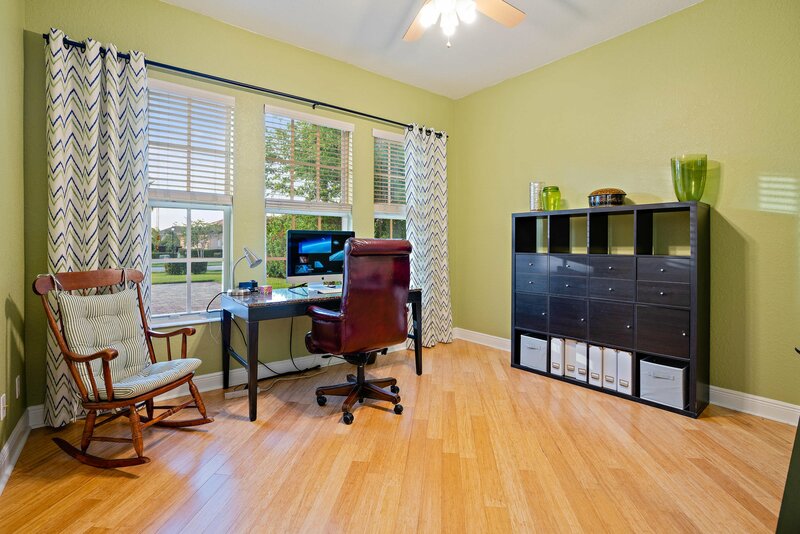 Two guest bedrooms downstairs with the master and three bedrooms and media rood upstairs. 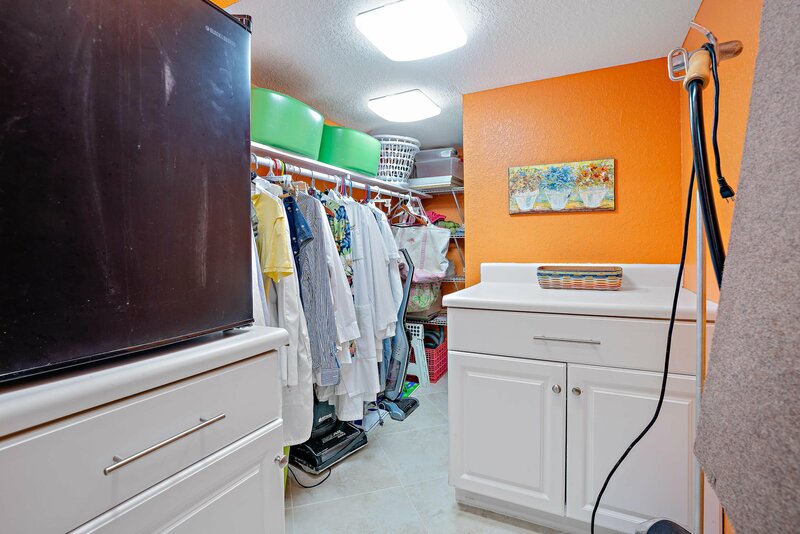 LED lighting throughout . 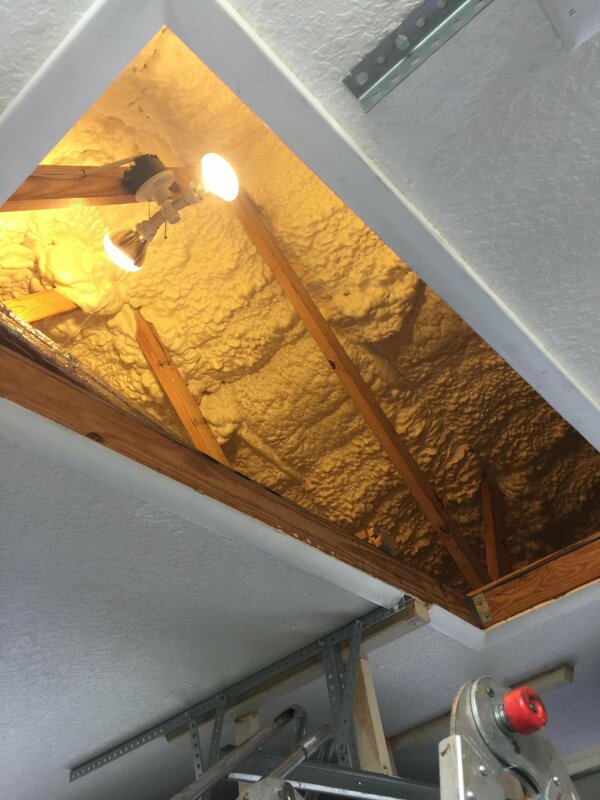 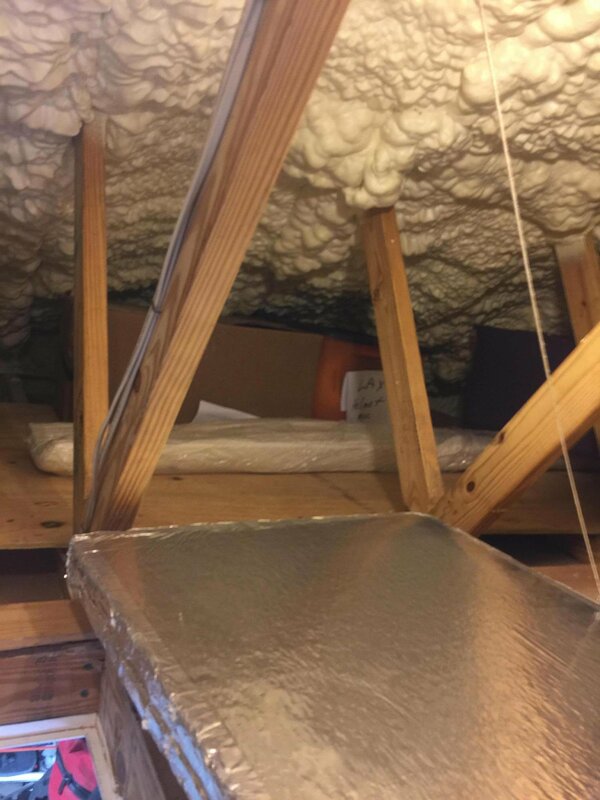 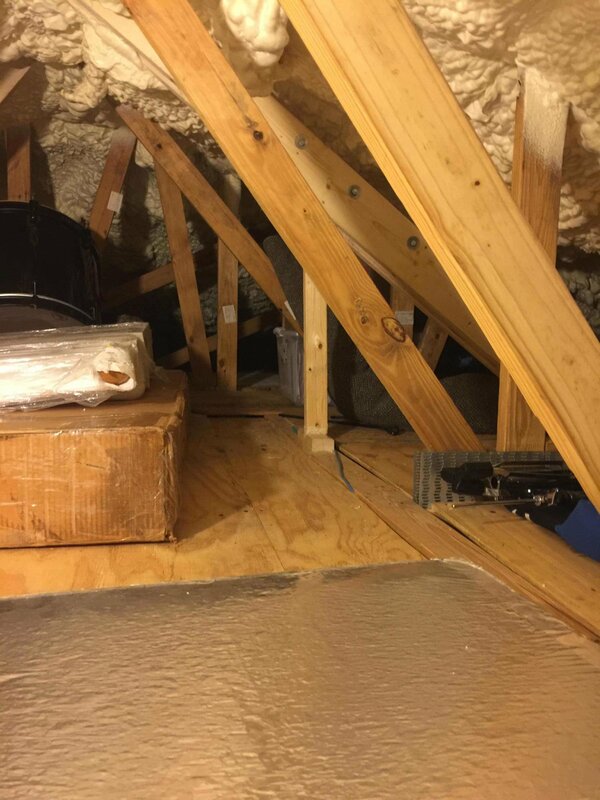 Icynene insulation and extra storage in the attic. 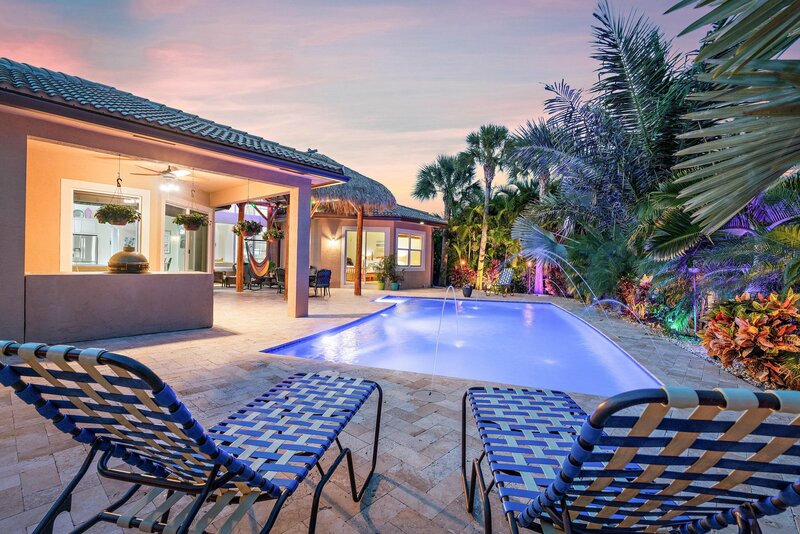 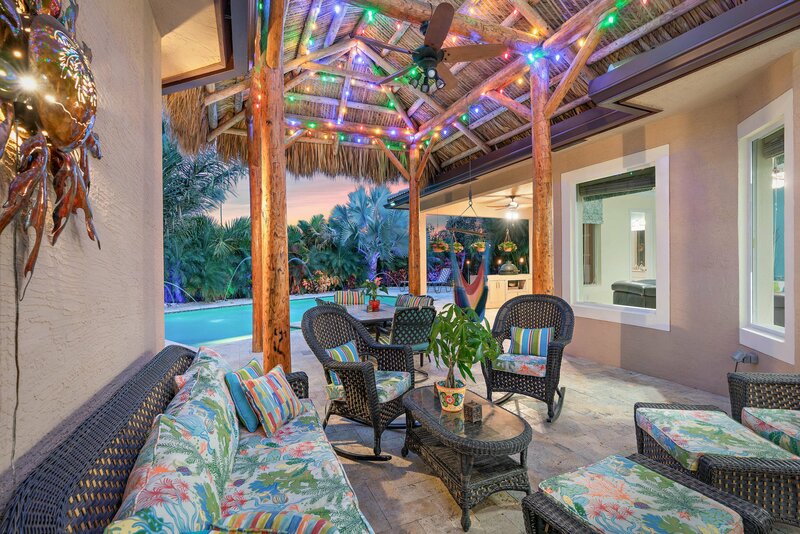 The backyard paradise awaits and is the perfect spot to unwind after a long day. 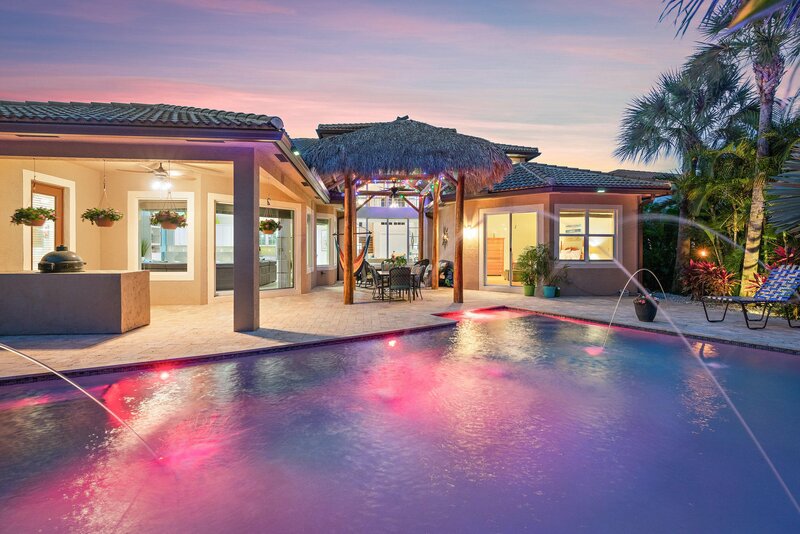 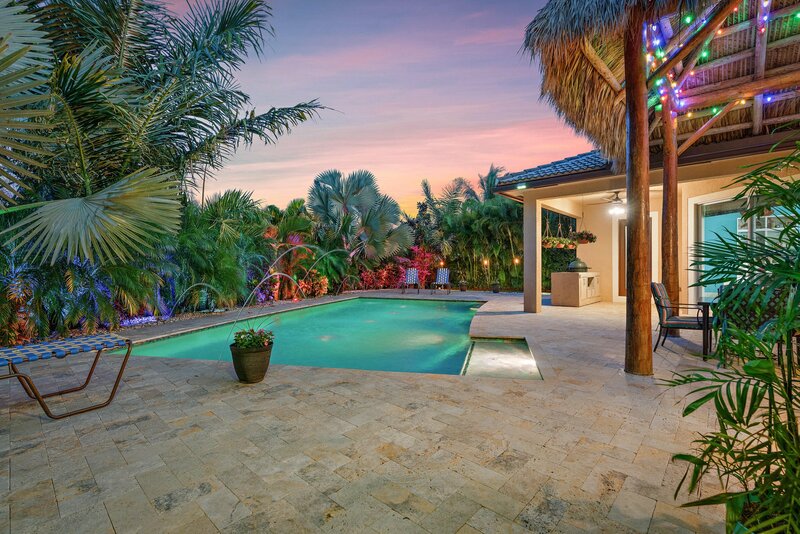 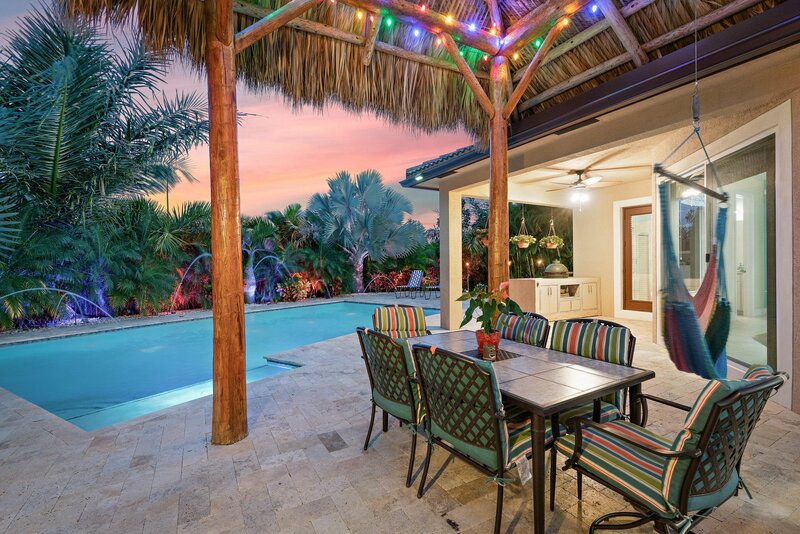 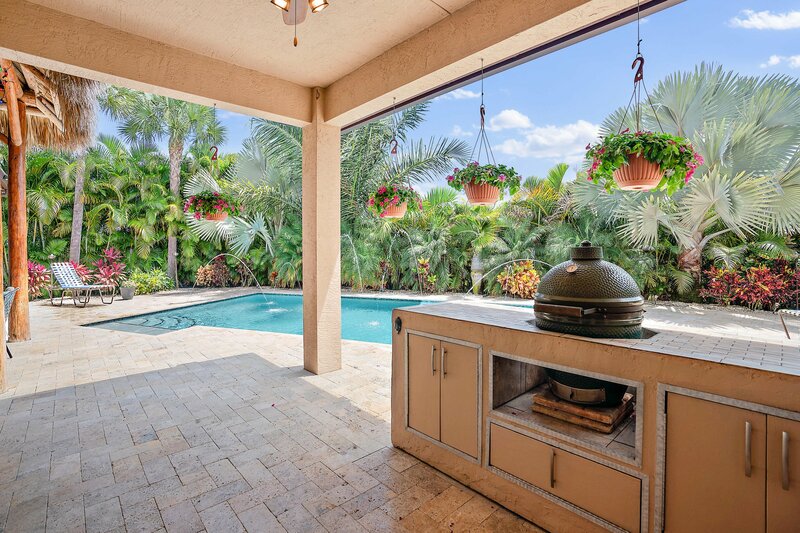 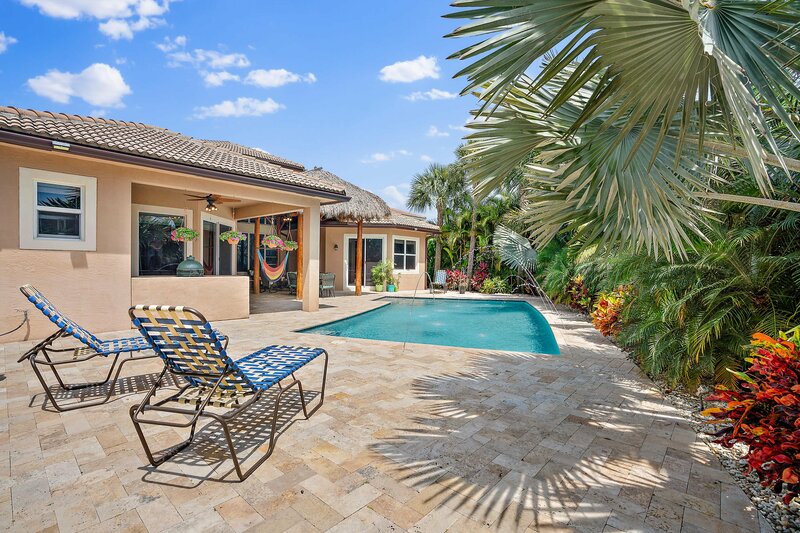 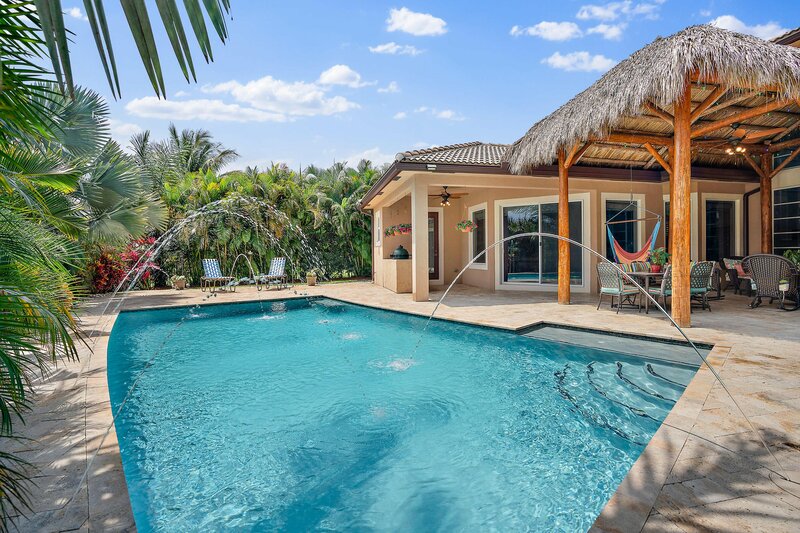 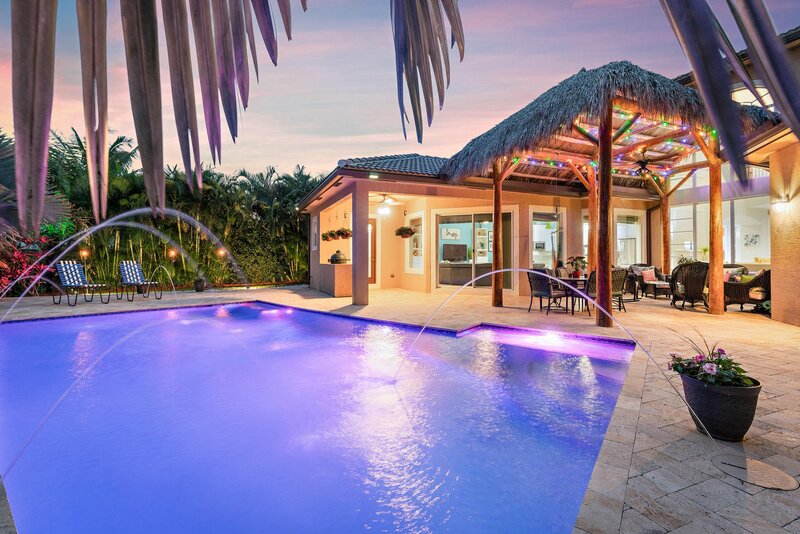 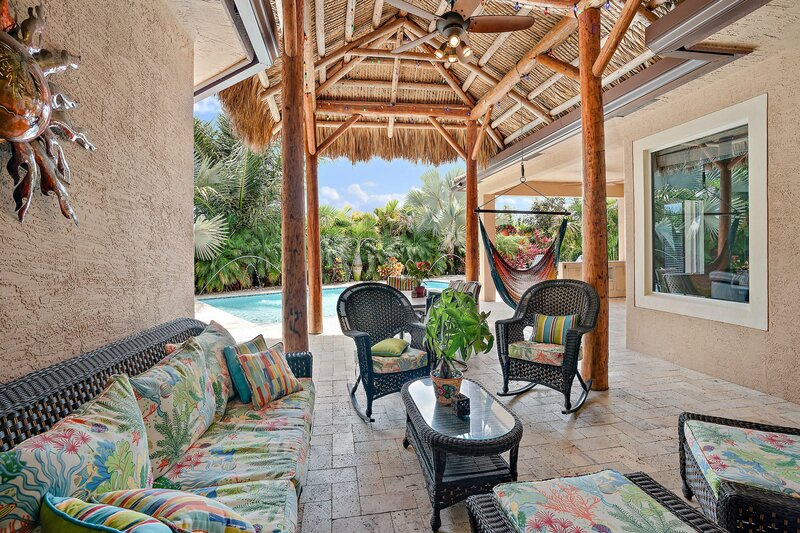 Tiki hut with lighting, summer kitchen, travertine marble pool deck and heated salt pool with deck jets. 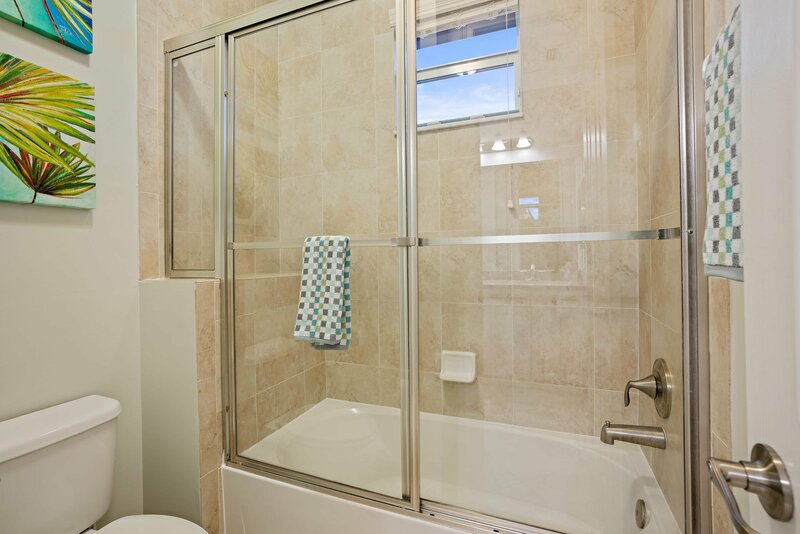 Lakefront location for extra privacy. 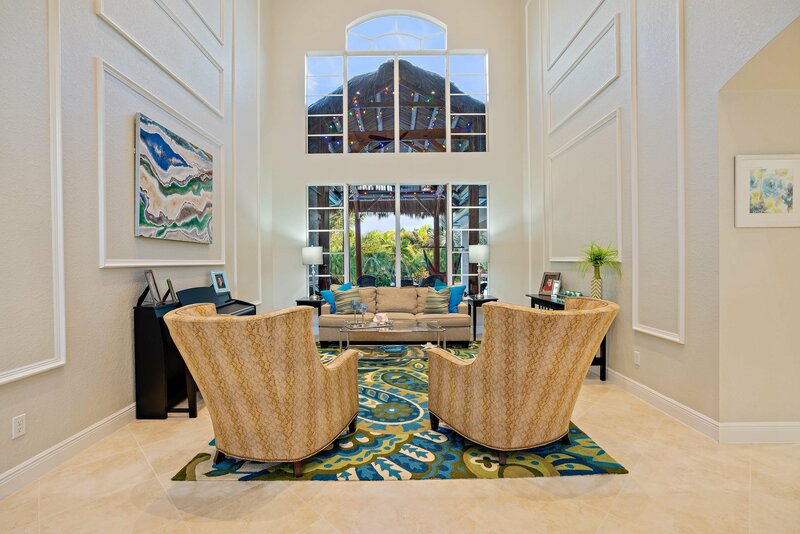 Rialto is a gated community located in the heart of Jupiter with loads of amenities including a kids water splash park, gorgeous clubhouse with fitness center, and a great space for private parties, huge swimming pool, deck and spa area, numerous playgrounds, gazebos, basketball, tennis and walking / bicycle trails. 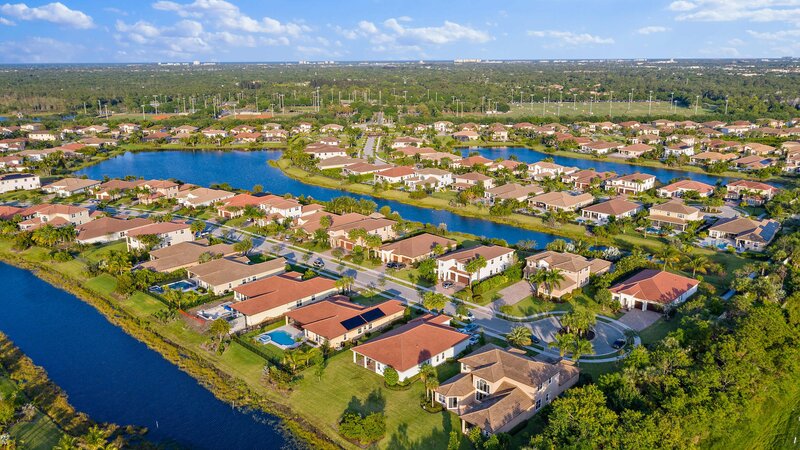 Jupiter Community Park is easily accessible where you will find sand volleyball courts, soccer, basketball, tennis, lacrosse, adult softball and children play areas. 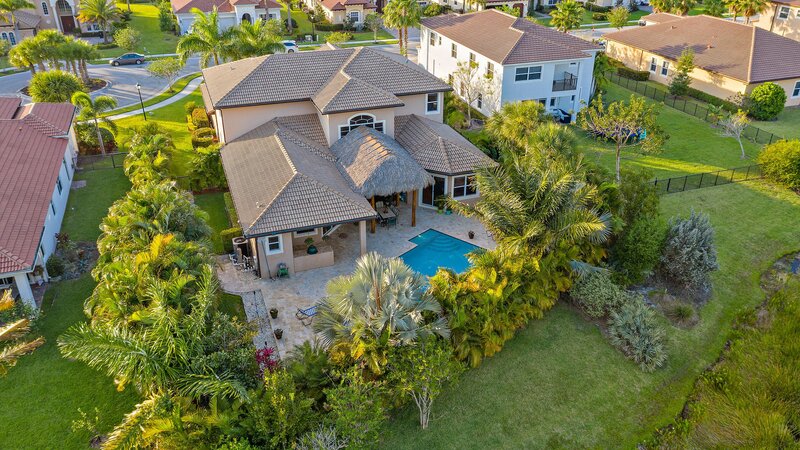 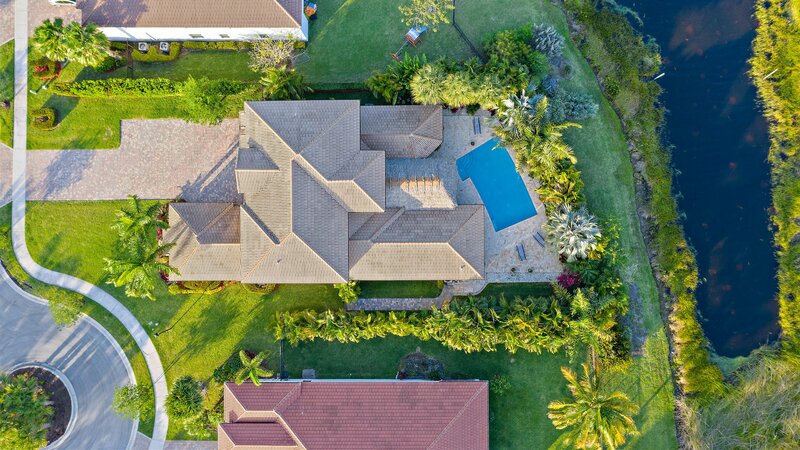 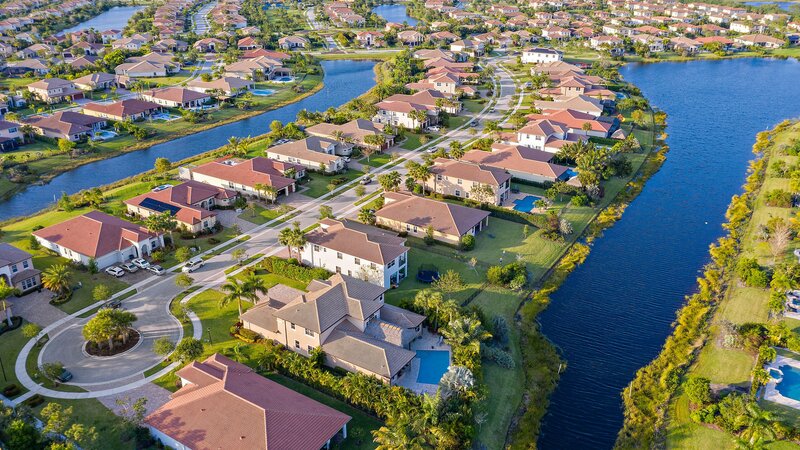 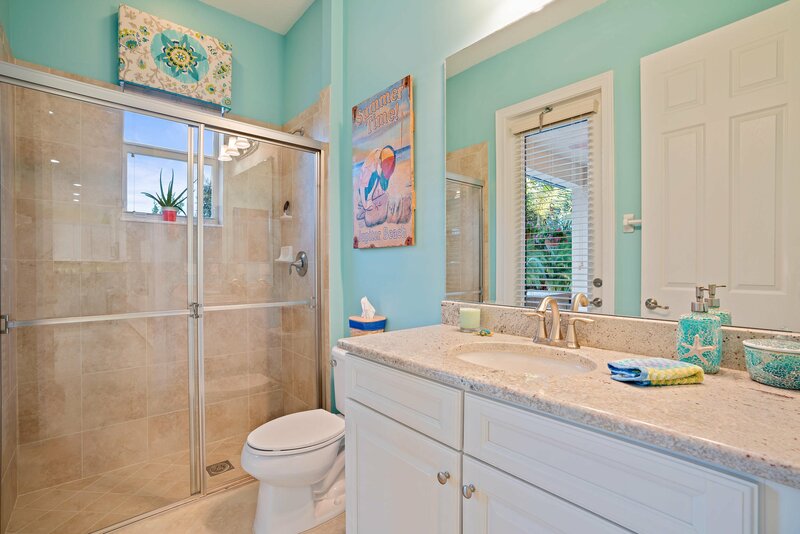 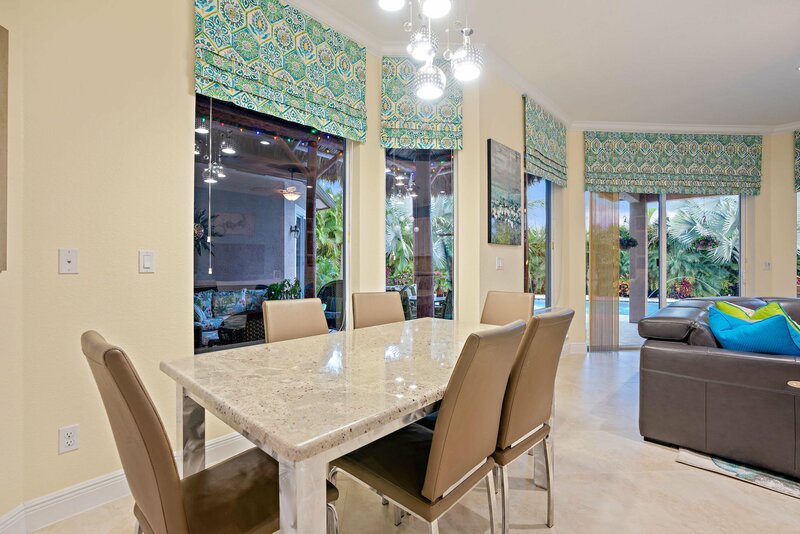 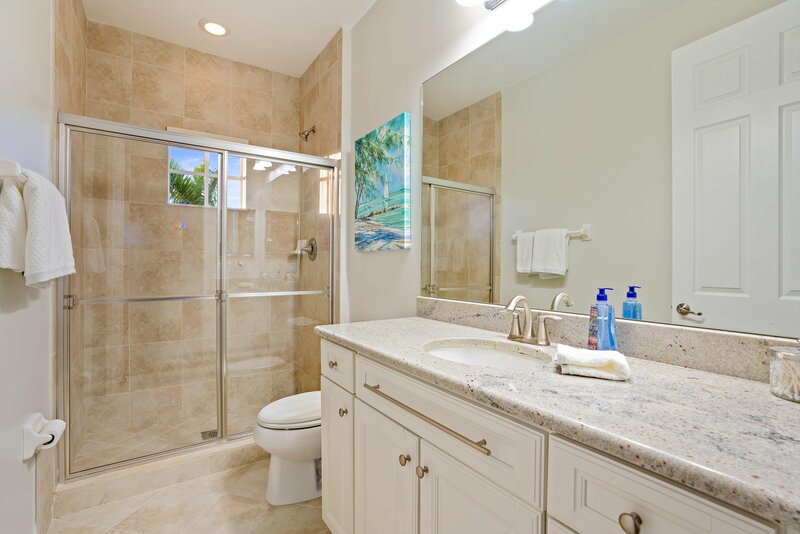 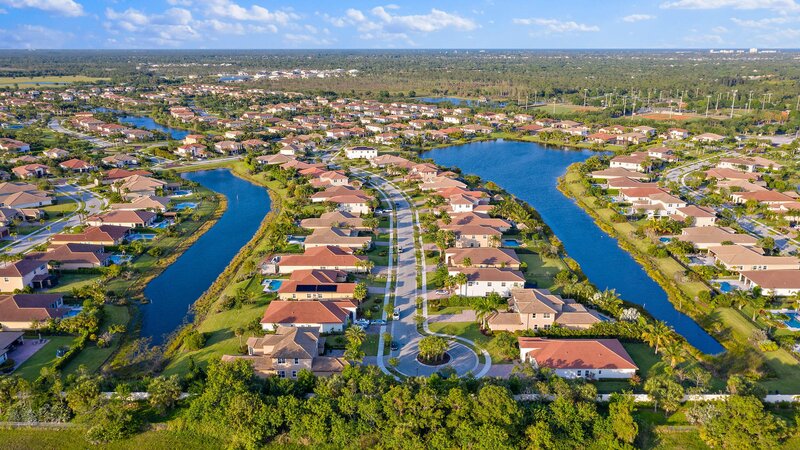 The community is minutes to the areas finest beaches, restaurants, and shopping and a short drive to Palm Beach International Airport. 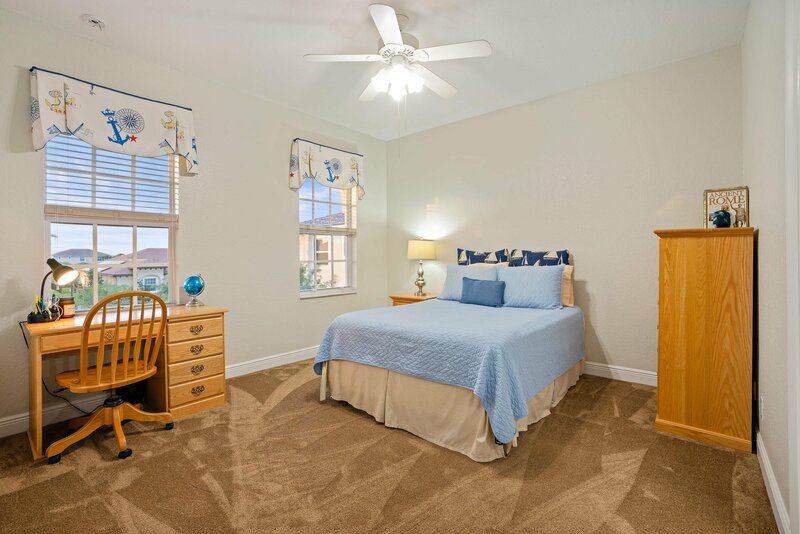 Schedule your preview today!